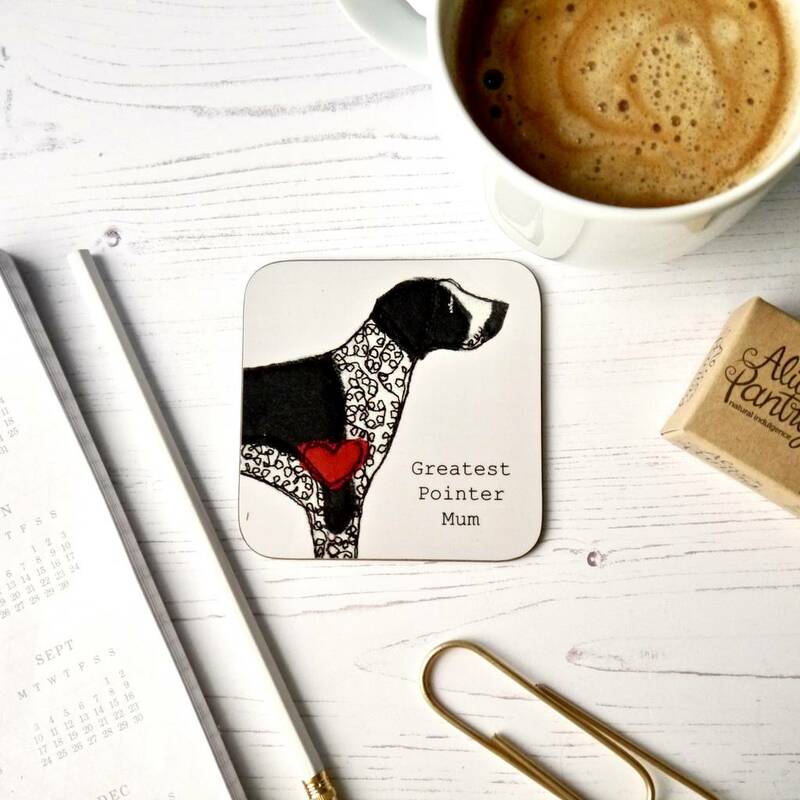 Every pet Mum needs a cute and characterful Greatest Mum coaster from my Greatest Pet Owners collection. 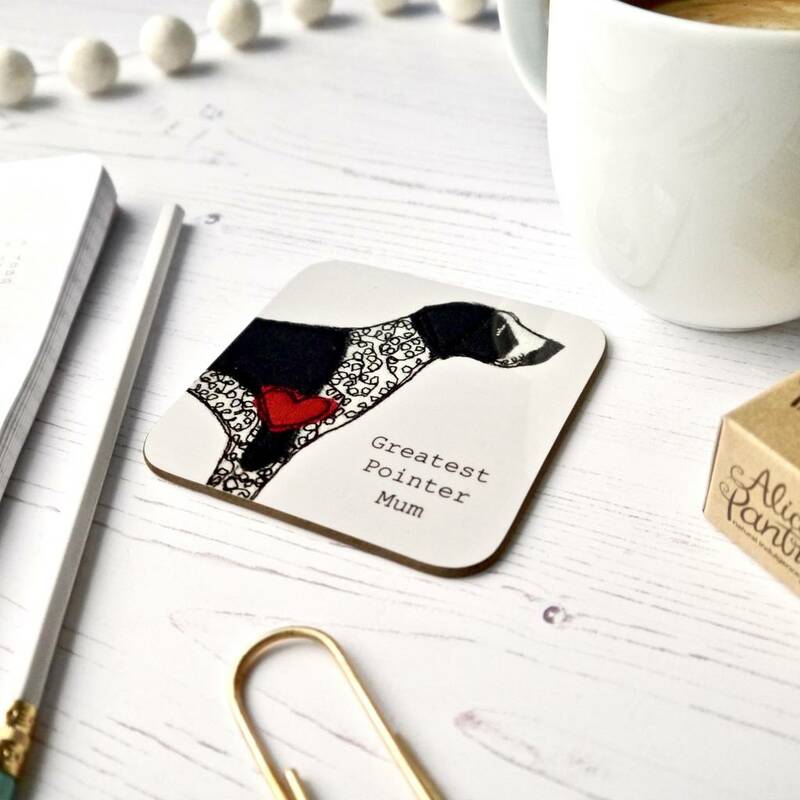 Featuring my beautiful dog illustrations these coasters are sure to put a smile on every German Short Haired Pointer owner's face and make the perfect small gift for a German Short Haired Pointer lover. 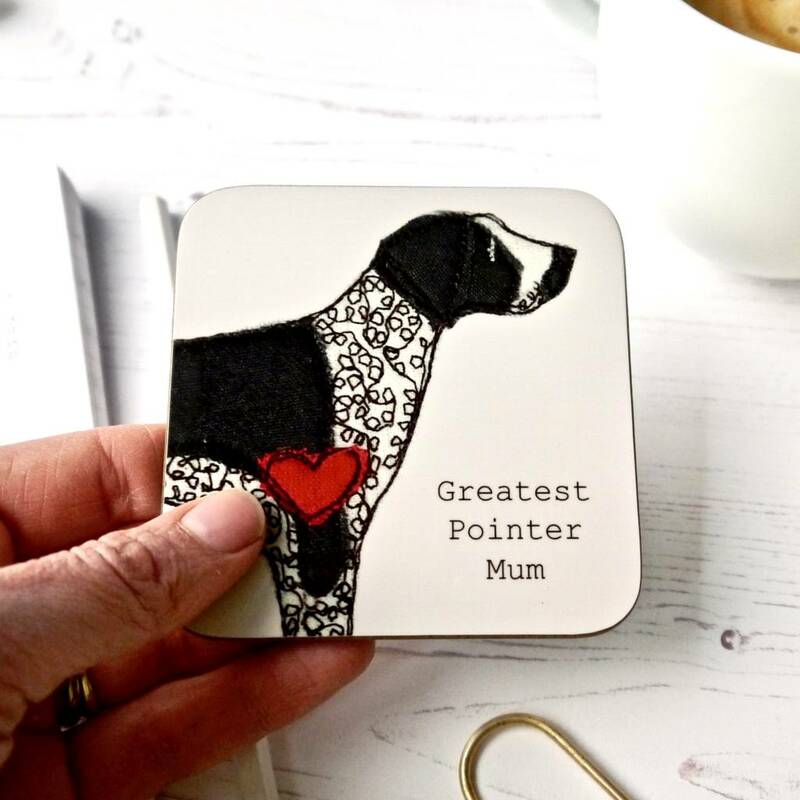 These Pointer Dog Design coasters make the perfect gift for Dog Mums on Mother's day, her birthday or Valentine's day; Dog Dad's on Father's Day or his Birthday too or alternatively as a house warming gift, new puppy gift or wedding present. 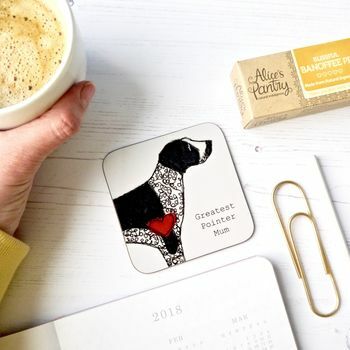 The cute dog coasters are beautifully wrapped in a spotty paper bag. 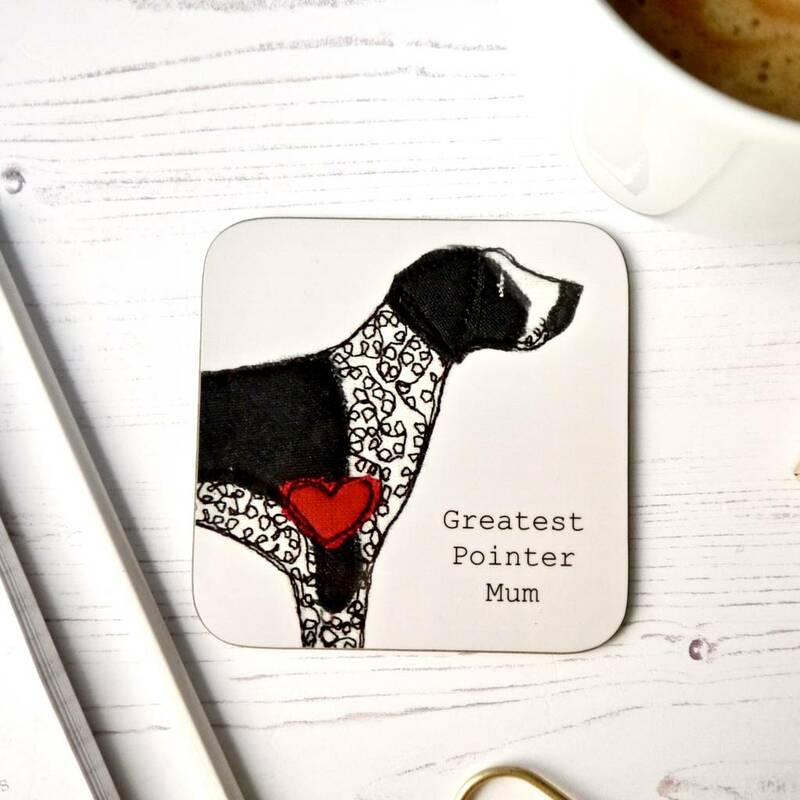 Available in a Greatest Pointer Mum design (Short Haired breed design). You can choose for your decoration to arrive gift wrapped. 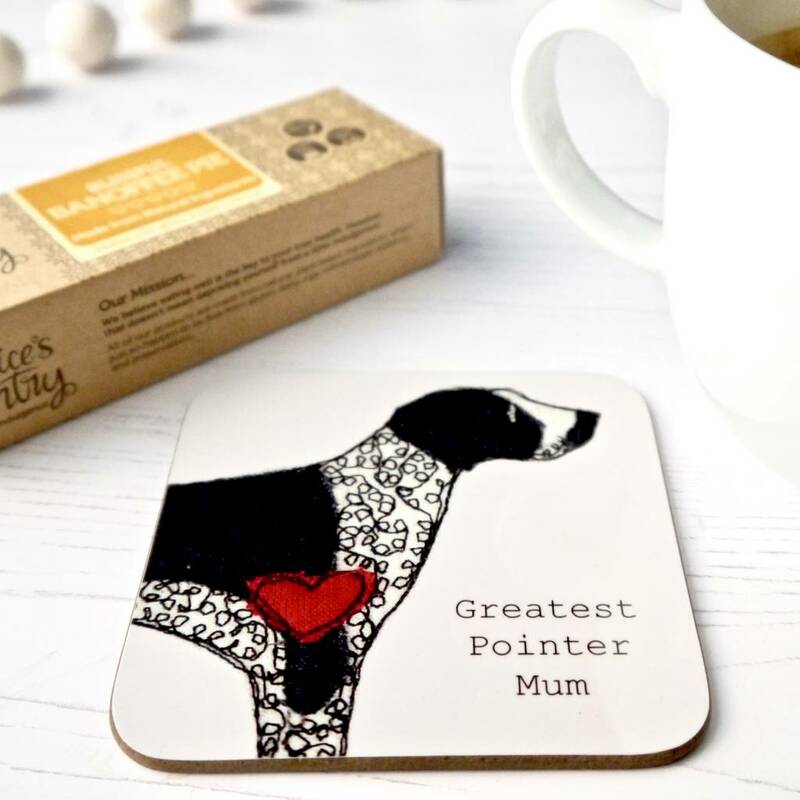 This is a useful option if you are running short on time or you are sending a gift direct. Please ensure you have included a message if you'd like your gift-tag to arrive already hand-written. Other breeds also available, see individual listings.